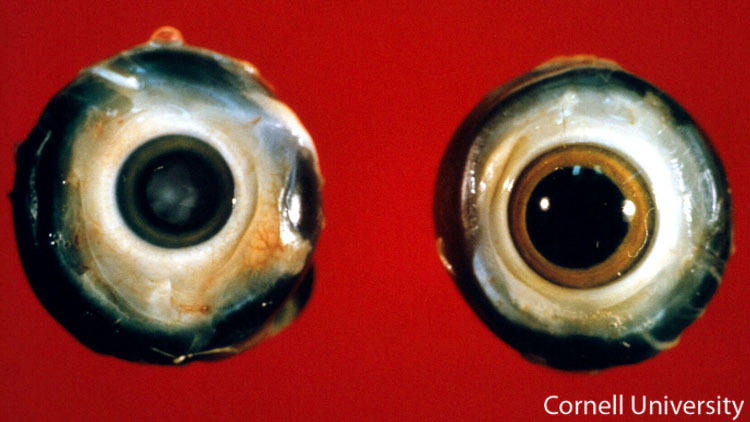 Cataract formation in the affected eye on the left of a chicken that survived an earlier infection with avian encephalomyelitis virus. This picture shows the eyes of two birds. The eye from the bird on the right is normal. The lens, within the eye on the left, contains a central irregularly-shaped, poorly-demarcated, area of light blue opacity.